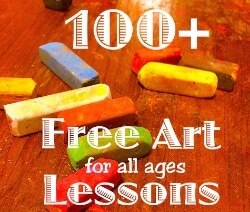 ~ This post contains affiliate links to art supplies we adore. If you click on them, you won’t pay anything extra but you will help us continue to offer art tutorials for free. Thanks for that! Since we have been sharing chalk pastel art tutorials, we have always suggested starting with the student grade alphacolor set of 12 pastel sticks. A starter set is currently $6.40. You can get these at your local arts and crafts store, like Michael’s. This student grade starter set is what we started with and shared amongst our five children. You can even break a chalk pastel stick in half to share. Chalk pastels are frugal! 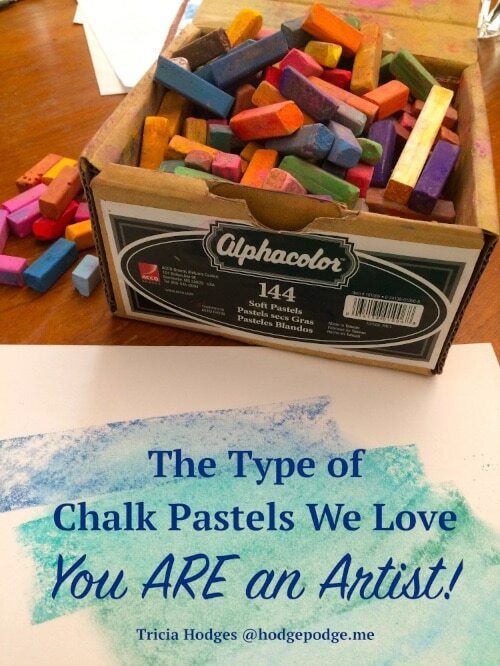 We are the proud owner of the big basic set of 144 chalks (pictured above). But in our defense, we are a class of five students and two teachers who love to haul out our pastels when the artistic vibe reaches out to us! I Have two children who do not like the feel of chalk or the feel of it as they draw. I have tried chalk pencils but they do not work like the pastels. We love doing your tutorials but have stopped because this is a big deal to my two kids. Do you have any suggestions? We just love how you make everyone feel like they are an artist. Thanks, don’t know why I didn’t think of that before. I wonder if it will help with the sensation of chalk on the paper. We’ll give it a try.